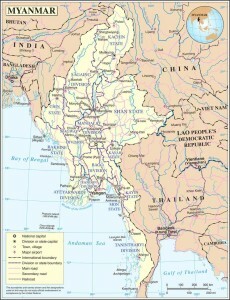 (International Christian Concern) – International Christian Concern (ICC) has learned that on February 1, Pastor Tun Nu, who was kidnapped at gunpoint in Myanmar’s Rakhine state on January 19, has died. According to Gospel for Asia (GFA), the mission organization Pastor Tun is a part of, the 41-year-old pastor was killed along with several others who had been kidnapped by a rebel army in the Rakhine state of Myanmar, an area affected by the Rohingya conflict. He leaves behind his wife, three young children, and a church of more than 50 believers.